Killer Characters: Kilim Me Softly? Hello, there! And how are you? I'm so glad you stopped by the Tallulah Falls Museum. Since young Josh isn't here at the moment (he's on his lunch break--you met him last month when he was pining over some young lady), I'll be happy to show you around. Take a look at these rugs. 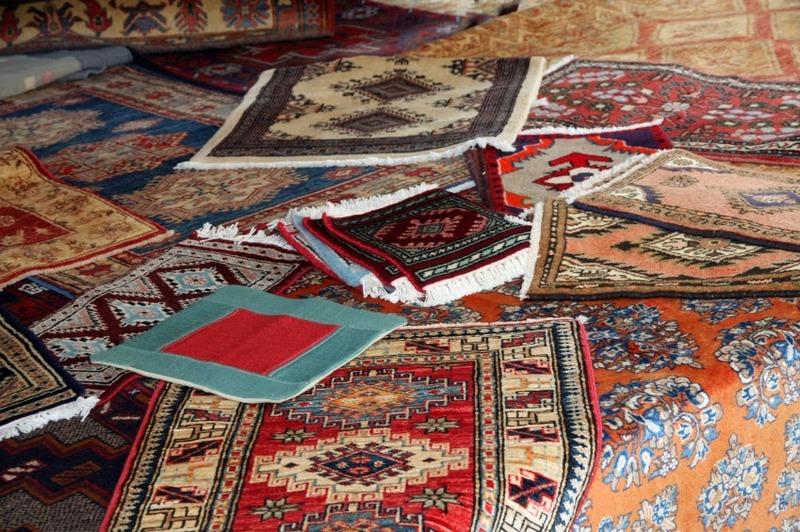 Some of them are known as kilims. The main difference between a kilim and, say, an Oriental rug, is that kilims are pileless. Kilims are also more than rugs. A great many are used as furniture coverings. If you're interested in kilims and antique textiles, then you should plan to visit the upcoming exhibition of the Padgett Collection here in the Tallulah Falls Museum. The Padgett Collection features a lovely Sivas kilim, a tapestry depicting the battle between David and Goliath, and a Sharkoy rug from the Balkans. But since that exhibit isn't here yet, let's take a look at what we do have here on hand at the charming Tallulah Falls Museum. Take a look at this display dedicated to the Pacific Northwest Native American tribes. See this basket? 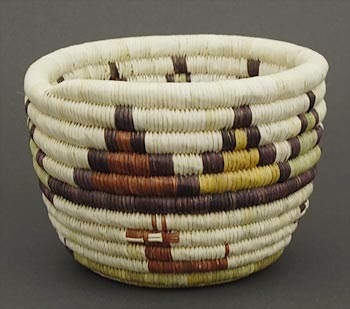 Coiled baskets like this were unique to the Pacific Northwest and were made by stitching flexible material around a core. This particular basket was woven by someone from the Hopi tribe. And look over here! This is the A. C. Gilbert display. Mr. Gilbert was a native of Salem, Oregon, and he's most famous for the erector set. But did you know that in the 1950s, he created and sold the U-238 Atomic Energy Lab? It came with three low-level radioactive sources, a Geiger counter, and a book that explained uranium prospecting. The government offered kids a ten-thousand-dollar prize if they could successfully mine uranium! Isn't that fascinating? Of course, the toy wasn't on the market long. I believe any remaining ones are worth a mint now. Uh-oh. Here comes that brash young Josh fellow. I believe I'll duck out the back. Don't let on that we talked, eh? And be sure and come back for the Padgett Collection exhibit! 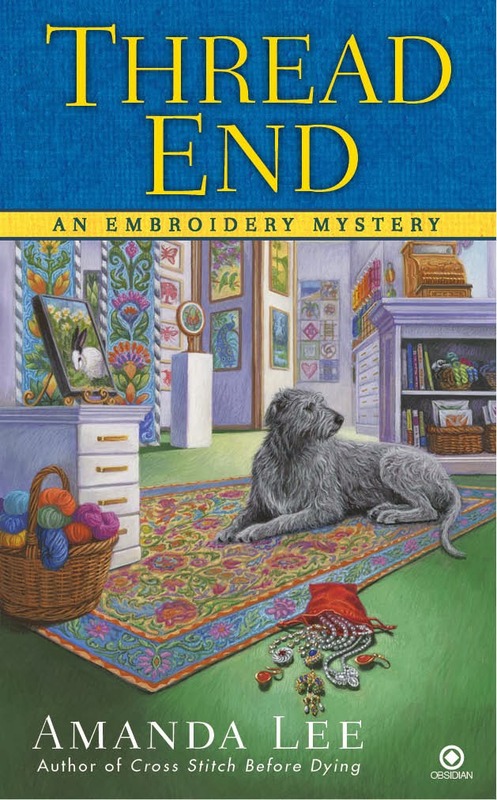 THREAD END is currently available for pre-order and will be released on June 3, 2014. FMI see http://www.gayletrent.com. Different kinds of crafts than the usual in this book. Think that would be extra fun reading!